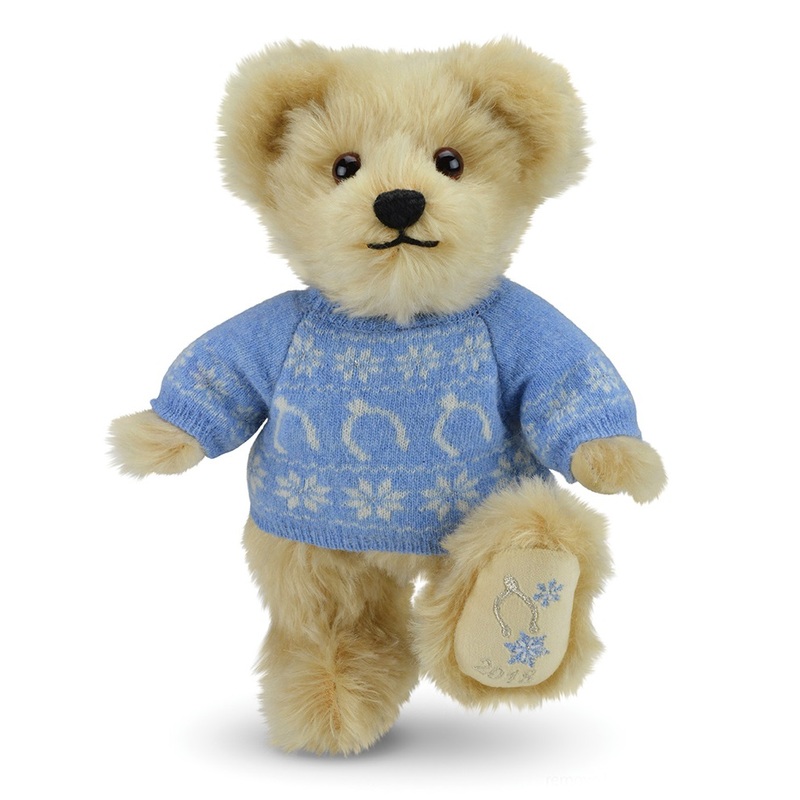 For something truly special this Christmas, look no further than Merrythought’s 2018 Christmas Teddy Bear. He is uniquely dressed in a gorgeous bespoke wool jumper that features the famous Merrythought wishbone, interspersed with silver-jewelled snowflakes. The stylish sky blue and white knitwear works beautifully with the bear’s champagne coloured mohair and cream velvet paws, which are embroidered with matching silver logo and snowflake detail. 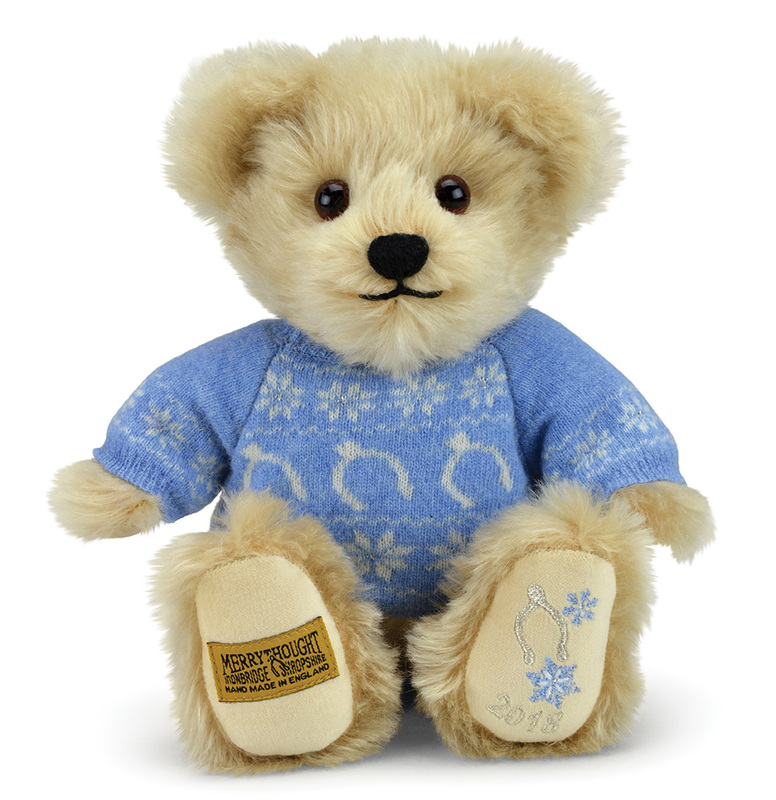 The addition of ‘2018’ on the paw makes this adorable teddy bear the perfect memento of 2018.